March 2019 issue of Bromley Park Condominiums' News available The March 2019 issue of Bromley Park Condominiums' News is now available in the Newsletter section of this website. January/February 2019 issue of Bromley Park Condominiums' News available The January/February 2019 issue of Bromley Park Condominiums' News is now available in the Newsletter section of this website. November/December 2018 issue of Bromley Park Condominiums' News available The November / December 2018 issue of Bromley Park Condominiums' News is now available in the Newsletter section of this website. October 2018 issue of Bromley Park Condominiums' News available The October 2018 issue of Bromley Park Condominiums' News is now available in the Newsletter section of this website. September 2018 issue of Bromley Park Condominiums' News available The September 2018 issue of Bromley Park Condominiums' News is now available in the Newsletter section of this website. 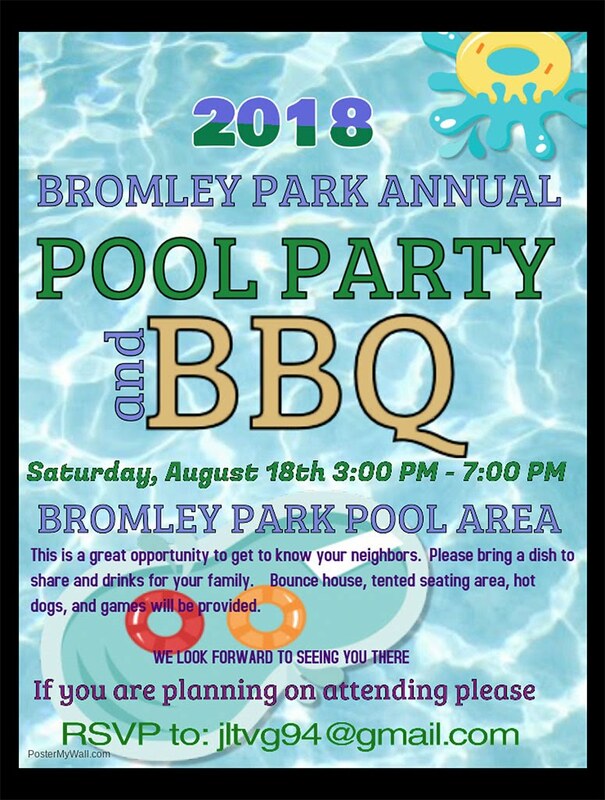 August 2018 issue of Bromley Park Condominiums' News available The August 2018 issue of Bromley Park Condominiums' News is now available in the Newsletter section of this website. Emergency service is available 24/7 for fire, flood or damage needing immediate attention. Please call (734) 663-1900, x240 and leave a message and Select Community Management's on-call staff will call you back.